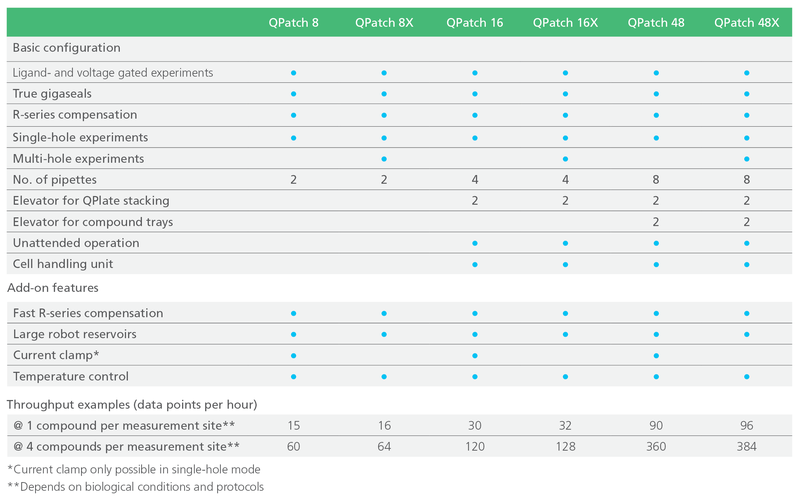 The QPatch product line consists of three fully automated patch clamp systems; QPatch 8, QPatch 16 and QPatch 48 which all are used for studying ion channels. 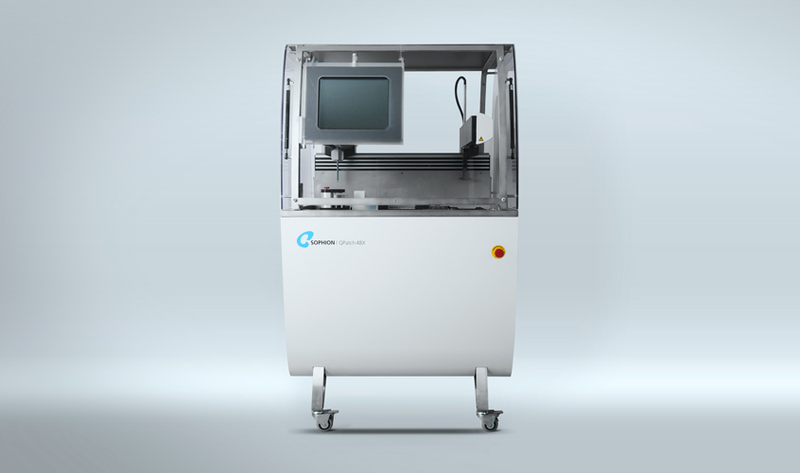 These systems cover a wide range of throughput needs and provide the user with genuine whole-cell patch clamp data based on true gigaseals. QPatch is used on almost any ion channel target. See also our newly launched QPatch II series which will take over from QPatch going forward. QPatch can continuously prepare fresh batches of cells for several hours of unattended patch clamp recordings. Cells can be stored in growth media due to our unique cell hotel solution, which increases cell viability and increases patch clamp success rates. Jobs, assay protocols, data inspection and analysis can be prepared and analysed from a desktop computer anywhere. QPatch operation is performed on a simple touch screen display making it easy for even untrained personnel to operate thus increase lab efficiency and ensure easy staff rotation. The unique design of QPlates enables gigaseal performance in physiological IC and EC solutions. No additives needed to artificially enhance seal levels. Sophion high quality amplifiers designed for automated patch clamp enables both voltage clamp and current clamp applications, has automated leak compensation and supports up to 100% series resistance compensation. Pressure systems on QPatch are designed for adaptive whole cell protocols, so each cell are treated individually until whole cell formation is achieved. Upgradeable to meet future needs and that makes QPatch a very safe investment for anyone.